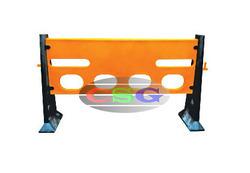 Our product range includes a wide range of interlocking fence barricades, checkpost barricades, water fillable barriers, expandable barricades, manhole barricades and metal barricade. Water Ballast 60 ltrs approx. 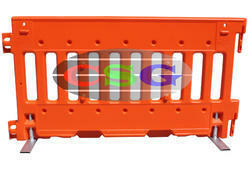 Water Fillable - 60 ltrs approx. 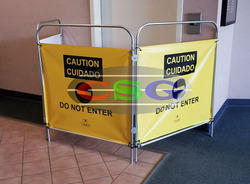 Our product Elevator Metal Barrier was developed keeping in mind the safety of people working in manufacturing plants and indoor or outdoor work sites. 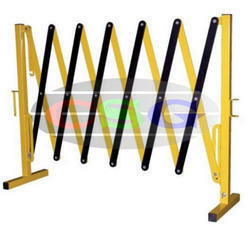 New models of this Elevator Metal Barrier keep developing to produce higher quality products without cutting the orner. 1) These are Lightweight yet durable panels. 2) Three section design allows the unit to be folded into various configurations. 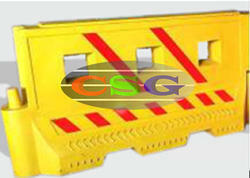 3) The product can be used as warning,notice and safety fence to aviod the accidents. 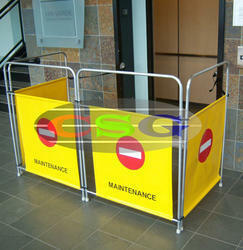 NOTE:Elevator Metal Barrier can be customized as per user requirement. 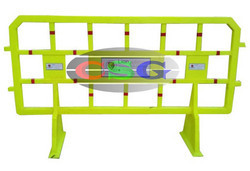 Looking for Traffic Barricades ?